Every week, I had an appointment at the hair salon to get my hair straightened. I never wondered why I had this appointment. It is a common practice with women in Ethiopia to have these appointments once a week or once every two weeks. It is also common to find beauty salons almost every hundred meters in Addis. Hair salons are in fact a thriving business in the country, and my qualm is not with the business itself but the main profit of these establishments being straightening of curly Ethiopian hair. There are many styles that can be done in a hair salon but we are preoccupied with straitening; why? Because, lighter skin and straighter hair, have been set as the standard of beauty in Ethiopia. We have an unashamed practice of colorism, in which we think people of lighter skin as better looking, the evidence for this being to just turn on your local Ethiopian channel or movie. Constantly Ethiopians are also referring to someone who has gotten lighter being referred to as looking comfortable and if the person has gotten darker we take it to mean the person is going through a hardship. This is the very embodiment of colorism. In fact, colorism is also practiced widely in other African countries. Colonialism and media plays the essential part in endorsing certain types of beauty and the ramifications that come with limiting the parameters of beauty. In retrospect, many Africans are practicing in bleaching to make their skins lighter, with people even reporting that they have witnessed mothers bleaching their children. Bleaching has become as widespread as 70% in Lagos, Nigeria and 35% of South African women admitting to the practice. Now I know that this is not a popular or heard of culture in Ethiopia but there are whispers of products that are used to make people lighter. The act that is wide spread and not talked about enough is how many of us were engaging in the straightening of our hair as an unconscious act. We just wanted an ‘easier’ time during the week. All those years, going to the hair salon, I never once questioned why. I just knew that after a trip to the hair salon everyone I met made a positive comment about my straight hair. As a young girl I wasn’t allowed to get my hair straightened unless there was a special event. I remember as a young girl thinking, ‘Maybe if I didn’t wash my hair, it would stay straightened forever’. After all this conditioning, and here I was in my twenties going to the hair salon every week to keep it straightened as long as possible. The constant altering of features like hair straightening and bleaching is a sign of an unsettled identity. These acts and glorification of certain beauty types is dangerous for young people. They learn to grow up hating the features that are natural to them. Self hate and low self image leads to deep psychological deterioration. Or at best case scenario, they conform without notice. Going through this journey of embracing my natural hair was when I came to understand the extent of the Ethiopian preoccupation with straightening. Many women and men kept asking me when I was going to get it ‘done’, and considered it a personal issue to ask me about it. I also questioned my own sense of commitment to who I was. And this led to an amazing journey of what it meant for me to actually be a true Ethiopian woman. I didn’t question myself until I lived in a place where I couldn’t straighten my hair. I realized that I didn’t know or even understand what my hair looked or behaved when curly. It was a difficult month, but then grew a great relationship. I felt liberated from trying to conform, which led me to asking questions to myself, I had never bothered to ask like, ‘why did I straighten my hair so much?’ after proceeding days of confrontations with myself, I finally responded ‘because I thought it looked better’. During this time I would learn the truth being otherwise, it looked nice and relatively easier in the mornings to go to work, but our beauty was there and we were squandering it. I will be honest and tell you now it takes me a few minutes longer to get ready but after discovering such a unique part of myself I am unwilling to let go. My hair is beautifully curly and most times simply untamable. And it makes me unapologetically myself. Thinking back to my childhood events, so many women around me having their hair straightened made me think it was part of growing up. And looking at the women around me now, I know most of them have that ‘standing appointment’ at their local hair salon, and that’s okay. This is not me bashing on them, because changing styles is also what is fun about being a woman, but let’s not make it a standing style, as if we are trying to hide who we are. There are young girls all around us and it is our responsibility to show them what beauty means, which we should not leave to the media to shape. As Ethiopian women, we must let them know their natural hair is as beautiful as their skin. To make them understand hair shouldn’t be tamed just like our spirits. It’s for us show them, that there is nothing more beautiful than being true to oneself. Yet the trick about this lesson is that it can only be taught through us living this truth. 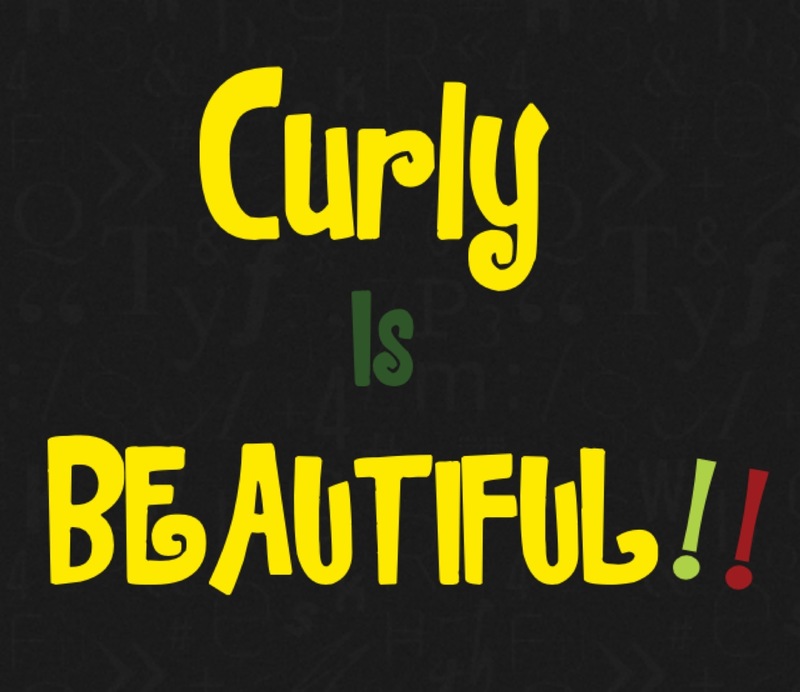 Going Natural: Curly and beautiful was originally published @ Second Opinion and has been syndicated with permission.